Illinois SR22 Insurance – certificate of financial responsibility – In Illinois drivers who are required to file an Illinois SR22 form will need to maintain it for one (1) to three (3) years. This type of insurance is primarily there to prevent future uninsured accidents. If your violation occurred after January 1, 2008 the SR22 period is three years. We provide instant Illinois SR22 insurance filings and shop the entire Illinois SR22 market to find you the best coverage for your insurance dollar. Each of our insurance carriers notifies the state of Illinois, electronically, so many times we are able to get our customer’s license reinstated the very same day! What is an Illinois SR22? An Illinois SR22 is also known as Financial Responsibility Insurance. llinois uses SR22 Insurance to monitor the insurance of high-risk drivers. You’ll need SR22 insurance if you’ve been caught driving without insurance, driving on a suspended or expired license, or for reckless driving. Is there an alternate method to file proof of financial responsibility? Yes, the state offers the ability to not only file an SR-22 insurance form but also accepts cash, securities, or a surety bond in the amount of $55,000. The SR-22 filing is the most widely used method but some individuals prefer the bond or cash option. How do I avoid SR-22 cancellations? Each insurance company is required to notify the Secretary of State if they have not received payment for renewal 15 days prior to expiration. Once they are notified the suspension process begins but you can avoid this by paying your renewal at least 30 days prior to expiration. If you have a suspended license due to Statutory Summary Suspension you can reinstate your license after the suspension period and pay $250 reinstatement fee. Once your driving record is updated to reflect the lift on suspension you license is valid again. If this is the second or more suspension the reinstatement fee is $500 and the court where your DUI case was processed will hold your driver’s license. Suspension and revocation fees can be paid via telephone using a credit card. If you are convicted of driving under the influence (DUI) the state will revoke your license for at least one year. This is in addition to the Statutory Summary Suspension period. If this is the second offense in 20 years your license will be revoked for 5 years. What are the penalties for first time DUI offenders in Illinois? While these are just a few of the potential penalties for DUI offenders it is not a comprehensive list. 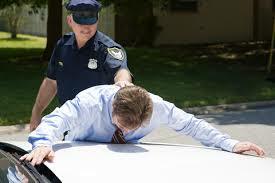 Refer to your court documents to know what is required of you after a DUI conviction.